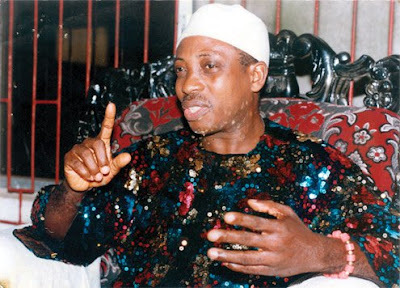 The leader of the Biafra Independent Movement (BIM), Ralph Uwazuruike, has disclosed plans to launch a new pro-Biafra radio station known as Voice of Biafra International. According to a press release signed by BIM’s Director of Information, Mazi Chris Mocha, Uwazuruike noted that the celebration of 18 years of MASSOB would take place in Onitsha, Anambra State on September 13. He said that other activities lined up for the 18 years of non-violence and non-exodus by MASSOB would also feature the official opening of Voice of Biafra International, VOBI, radio located in Germany, which would lead to the radio commencing broadcast on short wave (SW) band, this week. The statement further quoted Uwazuruike as saying that the radio station would be the “authentic voice of the Biafran people and always educate, inform and enlighten our people on the issue of Biafra and not to spread hate messages or blackmail. He assured Ndigbo that it was only non-violence that will lead them to Biafra independence without firing a gunshot. On Anambra State governorship election fixed for November 18, the statement added that its members would suffocate Anambra as the Ijele Ndigbo. Uwazuruike and BIM will visit Onitsha in solidarity with Chief Willie Obiano to tell him and Ndi-Anambra that the election must hold on November 18 as planned.